If you’re looking to fill your home with American classic furniture that you can pass down through the generations, you need look no further than American Drew. 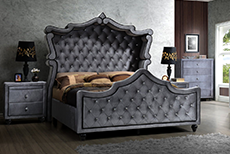 Heirloom quality since the 1920’s, every piece of furniture that bears the American D View more rew name is of the highest quality in construction and materials. Designed to last as well as impress, there isn’t a room in your home that wouldn’t benefit from one of their thoughtfully designed furnishings. If you’re looking to fill your home with American classic furniture that you can pass down through the generations, you need look no further than Am View more erican Drew. Heirloom quality since the 1920’s, every piece of furniture that bears the American Drew name is of the highest quality in construction and materials. Designed to last as well as impress, there isn’t a room in your home that wouldn’t benefit from one of their thoughtfully designed furnishings.